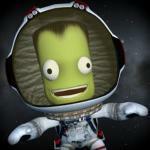 Welcome to the Official Release thread for Before Kerbin. Before Kerbin is based on the Stock solar system, but 2 billion years ago in the past. This mod will replace your solar system, I advise beginning a new save. This mod aims to add a completely new adventure as you begin on Eve (which has Kerbin's properties for ease) and explore and uncover the secrets of the old stock planets. There is lore for you to uncover on the detailed planetary surfaces. This mod adds highly detailed, 4k planets, each come with their own EVE and Scatterer configurations. Every single planet and moon has been adjusted and changed, meaning yes - you can visit "Dres"! All planets have been tested and I have made sure both rockets and spaceplanes can function on them all. Will this planet mod add any new stars? No. This is the Kerbol system 2 billion years ago. Adding a new star means you will need modded parts to get there, which I generally disagree with. It also means separating planets and sentencing them to "will not be visited". I want to make sure all planets are easily reachable but also require a challenge once there. Is this planet mod compatible with present day mods like OPM? Yep! Even the visual mods will work together, meaning you can install nearly any planet mod except those that also replace the home planet. How much RAM do I need for this mod? 5GB at maximum texture quality. This mod follows the CC-BY-NC-ND licence. But why 5 gb of ram? Can it work with 4? Is there a specific reason. Why? 5 gigs of ram?! Not only is that a big number, but it means I can't even check it out. That's going to limit a lot of downloads, as it seems a lot of users are using basic laptops with only 4 gig of ram. Any chance maybe a release of smaller textures? Oh, PSA: This mod WILL NOT WORK on 32-bit. Weird stripes will show up and generally look ugly. Sorry man - but most PCs nowadays have 8GB of ram. It's extremely difficult to release a full sized planet mod that uses less than 4 gigs. I mean, you can try lowering the texture quality in the main menu before installing the pack - that way you will probably run it on 4 gigs. PSA: This mod WILL NOT WORK on 32-bit. Weird stripes will show up and generally look ugly. My heavily modded KSP (64bit) install was running out of memory and crashing on my 2015 Alienware laptop with 16gb of ram... my new desktop has 32gb of ram and KSP peaks at 17gb!! Great mod and great community on your discord, congrats on release! You got sneaky early access, your opinion is biased! Nope, gilly didn't exist back then. Serpent, Eden's moon, hit the planet. Hence the purple shades and metallic appearance, it was heavy and poisonous. It kills the life on Eden and makes it heavier and toxic. Quick questions: Is TextureReplacer essential here? Does it just provide another skybox? Thanks. I actually like the skybox and I'm going to keep it, including for the stock game. Just didn't want to mess up my existing use of TR. Added delta V map by @AlliedForth! Nice mod @Gameslinx! I'll try this out! Does this mod effect Kerbals and the KSC? So Eve was basically Kerbin?